People are becoming more and more involved with social media. Current electronic devices make it very easy to instantly post stuff online. While extremely convenient, it is also just as easy to cross legal boundaries for people who are unaware or indifferent to what they are doing or who they may be hurting. Unfortunately, this is causing more legal problems because it raises a question of privacy issues when someone else puts information or pictures about someone else online. Be aware that what is considered libel in one place may not be libel in another state or area. Local laws may determine the exact definition. 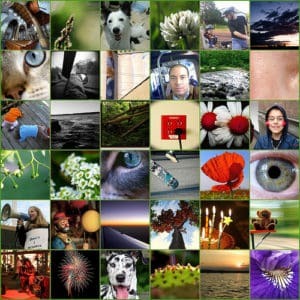 A similar problem can easily arise – even unintentionally – with photographs. These can cause problems even if there is no intent to present a negative picture of someone or something. You may not even be safe if you get permission to take the picture. This can happen if you take a picture of an individual in such a way that it makes them appear to be involved in some activity (or position) that does not accurately portray what was really happening at the time. You can avoid this potential problem by showing the individual the picture for their approval prior to posting it anywhere. Pictures taken in public are generally safe, mostly because people who are in public can expect to be seen by others in whatever they do. However, you should double-check all your pictures before posting them anywhere to ensure that you have not crossed the line in any of them. Private buildings and organizations may have their own rules about taking pictures, though, and you may want to check first, before you get into any legal trouble. The truth is that the laws concerning social media are still in their infancy. Not very many cases have yet been tried and solved, which means legal solutions or guidelines have not yet been established. Many companies and individuals so accused, however, have settled outside of court – just to get it over quickly and to avoid further negative publicity. Some things that you certainly want to avoid in order to stay out of legal trouble simply involve thinking about what you are doing before you do it. If it involves the rights of others or their reputations, you don’t want to do it. 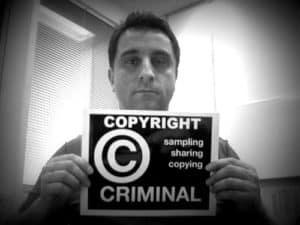 Avoiding the use of copyrighted information is another good way to stay out of trouble. Realize that other people or corporations have a right to material they produce. While it can be said that everyone is doing it, it still is wrong to use other people’s property (physical or intellectual) without their permission. Right now, there are many cases involving this problem that are waiting to go to court – why be the next one to be sued? Don’t use it if you do not have clear permission to do so – in writing. 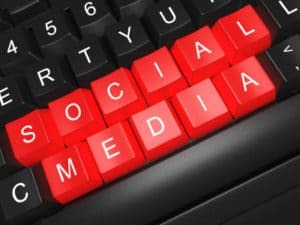 If you are already in trouble for some problem with social media, you need to contact a lawyer as quickly as possible. Because the laws are still being developed – and could go either way – working out a solution quickly is a goal you want to aim for. Of course, simply staying away from questionable areas and activities will work even better – and be far cheaper in the long run. Written by David Nance for EverSpark Interactive. EverSpark is an Atlanta SEO company that prides itself in achieving results. is it legal to tell someone to kill their self in a forum? Someone told me to.